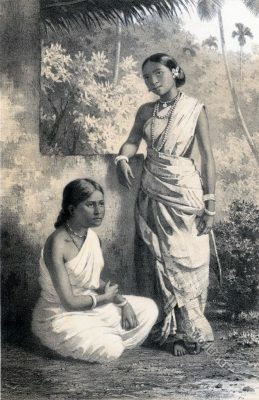 Two Malabar Girls. Jeunes filles Malaberes. This entry was posted in 1867, 19th Century, Asia, Sri Lanka, Traditional and tagged Ceylon, Sketches of the inhabitants, Traditional Sri Lanka clothing on 8/3/16 by world4. Sinhalese women picking coffee. Femmes cingalaises occupées à éplucher du café. 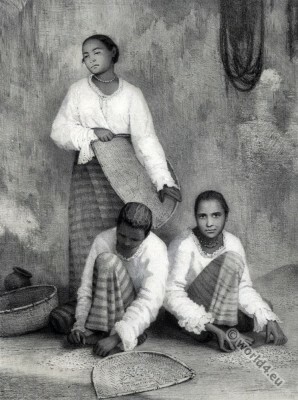 Sinhalese women picking coffee. 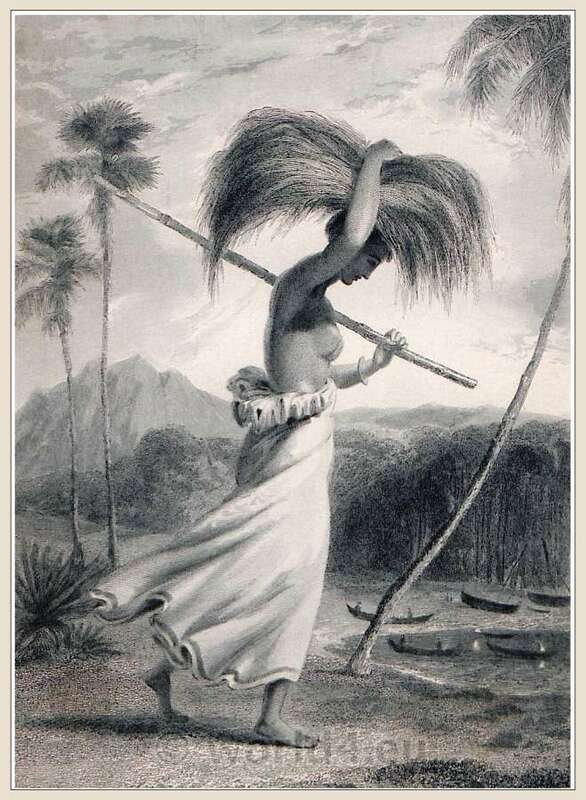 Sri Lanka 18th c.
This entry was posted in 1867, 19th Century, Asia, Sri Lanka, Traditional and tagged Ceylon, Sketches of the inhabitants, Traditional Sri Lanka clothing on 8/26/15 by world4. Sinhalese coolies from Matura, Sri Lanka. Sinhalese coolies from Matura of Laymastotte, Sri Lanka. 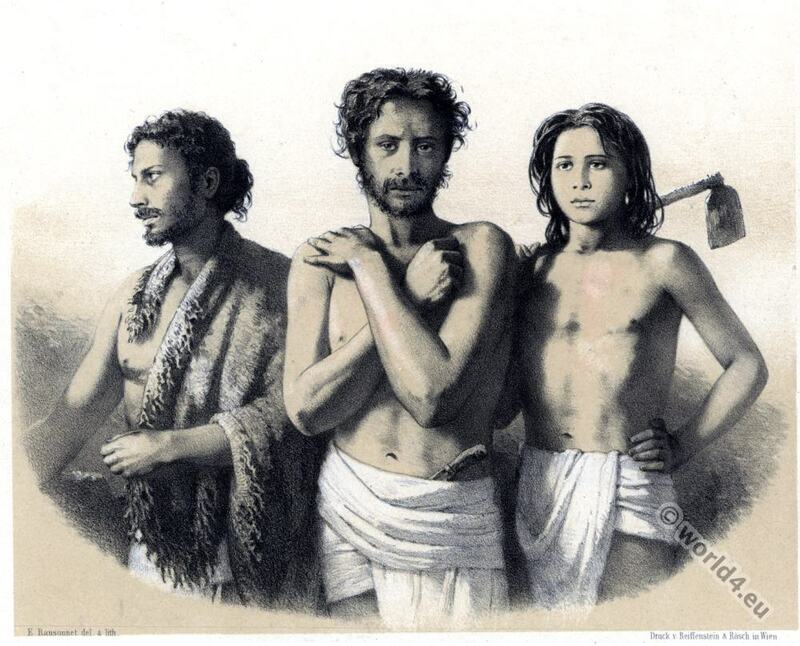 This entry was posted in 1867, 19th Century, Asia, Sri Lanka and tagged Ceylon, Sketches of the inhabitants, Traditional Sri Lanka clothing on 8/23/15 by world4. Banyan tree near Colombo Sri Lanka. Banyan tree near Colombo Sri Lanka. Figuier des banyans près de Colombo. 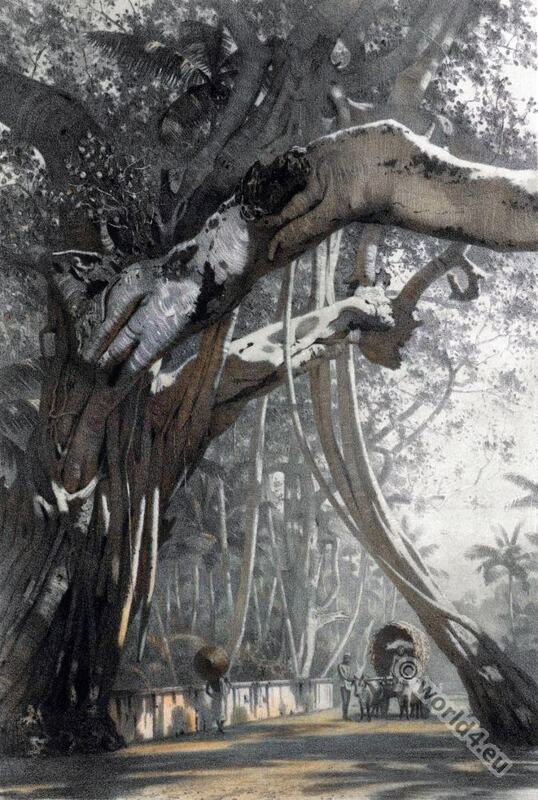 This entry was posted in 1867, 19th Century, Asia, Sri Lanka and tagged Ceylon, Landscape, Sketches of the inhabitants, Topography on 8/23/15 by world4. Corpse incineration, cremation. 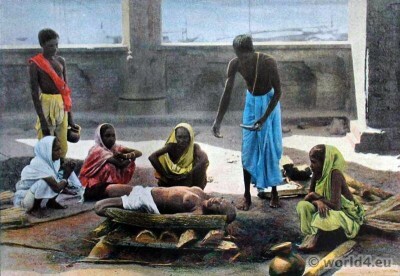 Sri Lanka 1895. This entry was posted in 1895, 19th Century, Asia, Sri Lanka and tagged Boulanger, Traditional Sri Lanka clothing on 9/29/14 by world4. 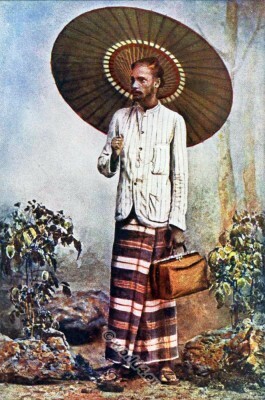 Sinhalese in traditional sarong with Umbrella. This entry was posted in 19th Century, Asia, India, Sri Lanka, Traditional and tagged Ceylon, Pictures of Indian Natives, Traditional Sri Lanka clothing on 10/29/13 by world4. The Queen of Candy, Sri Lanka. 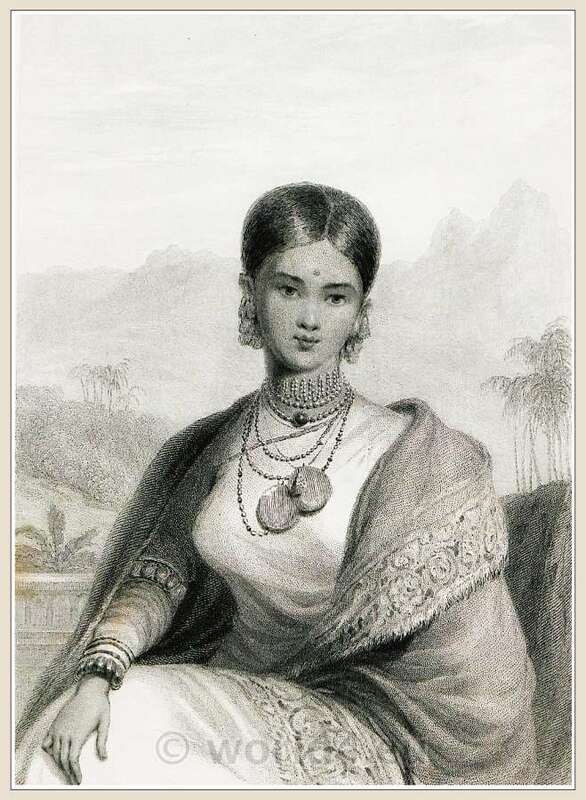 This entry was posted in 1794, 18th Century, Asia, Sri Lanka and tagged Ceylon, Portrait, The Oriental Annual, Traditional Sri Lanka clothing on 5/15/13 by world4. Ceylon. 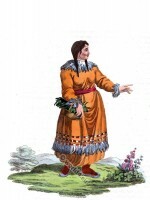 A Female Peasant, 18th century. A Female Peasant of Ceylon. A Female Peasant of Ceylon, 18th century. 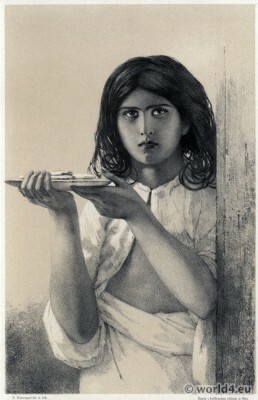 From the book: The Oriental Annual, or Scenes in India. Comprising twenty-five engravings from original drawings by William Daniell, R.A. and a descriptive Account by the Rev. Hobart Caunter, B.D. London: Published by Edward Bull, Holles Street, Cavendish Square, 1834. 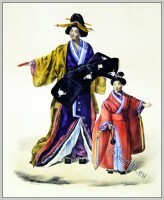 Japanese Geisha dancing with fan. 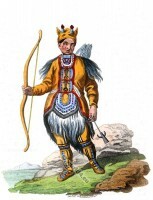 A Tungusian, Evenki in his ordinary Dress. Japanese Festivals and Holidays. 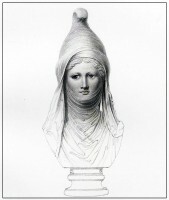 19th c.
Asiatic Female with head-dress Cidaris. A Female Koriak in traditional Kamtchatka dress. Noble Persian in 1840. Iran 19th century costume. This entry was posted in 1793, 18th Century, Asia, Sri Lanka and tagged Ceylon, The Oriental Annual, Traditional Sri Lanka clothing on 5/15/13 by world4.